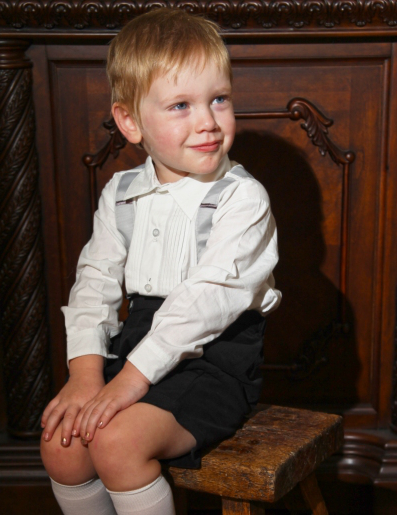 Handsome 2 piece set for toddler boys. 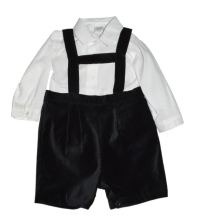 The pin tuck pleated shirt has attached mock silver suspenders which button onto the black velvet bobbie shorts. 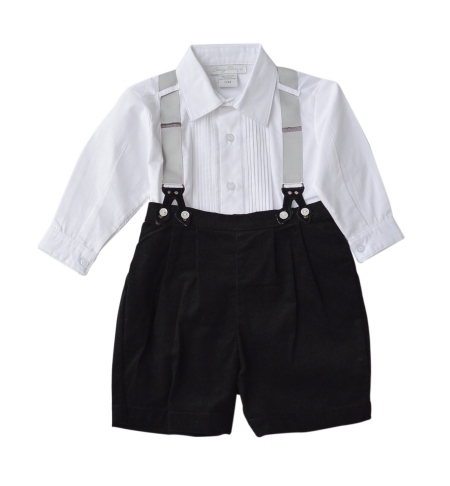 100% finely combed cotton shirts with attached silver button-on suspenders and 100% cotton velveteen shorts. Lots of extra style features. From high end manufacturer Carriage Boutique. Machine wash cold. Runs true to size.